In Internet Explorer 11, when clicking on the coupon it pulls up the lightbox as it should but does NOT open up the affiliate URL in another tab as it is designed and should. It does this fine in Firefox, Chrome and Safari browsers, by the way. That discounty demo isnt updated, will update it today. 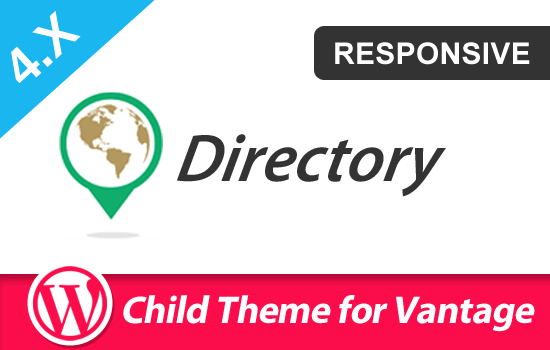 Our discounty theme shows it as it’s provided by clipper, it means it works the very same way as on clipper theme. it opens the lightbox + new tab. and the window of the viewer (user) will be on the new tab , not the lightbox page. there is no such a bug, it’s just a new feature on that plugin ( couponjoy) , if you want to get it, You’ll have to purchase mohsin’s plugin. So in fact, the feature I am speaking of, added by Discounty (and by the plugin coupon joy as another plugin separate) is in fact bugged in IE 11, while working correctly in all the 3 other major browsers. I still remember all these, but as you mentioned a third party plugin, I wanted to make sure that that feature is ONLY made for couponjoy, e aded the feature that options the windows and the lightbox together, but not reverting the browser tabs. Speaking of the IE11, it behaves different than al the other browsers and depends on its settings (saved options) it blocks the new tabs and/or opens them on new window (not a tab ). i am trying to seek some assistance from all round the possible resources but not able to fix this discounty theme yet can you please do me a favour and try help me out with this problem. its like a kiosk at the moment. 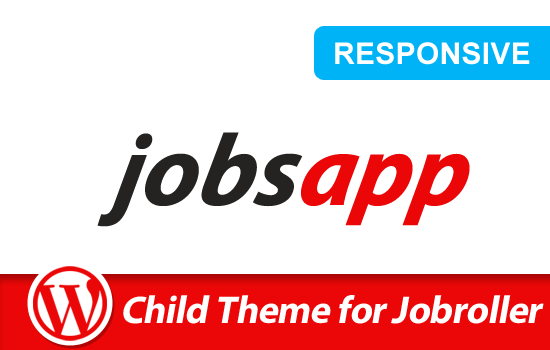 have you sent your inquiry to support @ jobthemes.com ? Hello Admin i,m using this Theme latest version! plz do let me know how do i add social media buttons at store pages? where exactly do you want to show the social media buttons? can you give us a url of a store page of your website? 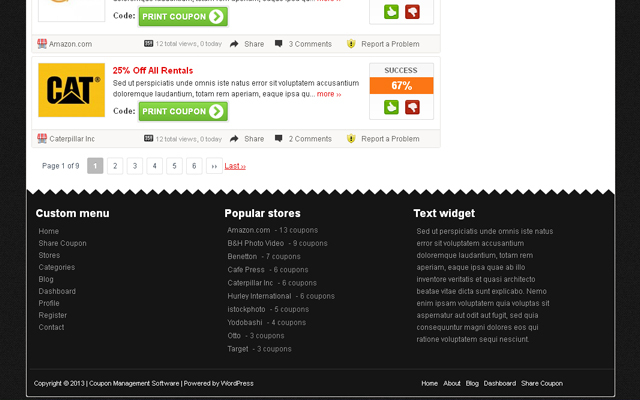 i can.t see any Social Media Buttons options inside Discounty Theme store pages! I just bought my Discounty theme and uploaded it to clipper themed site. As already Coupon Listing part was under my new coupons part, after activating the Discounty theme, İ couldnt see ant coupons or stores listed under new coupons part on home page. can you help me fix this ? Settings>reading> Coupon listing – is chosen on static page part. 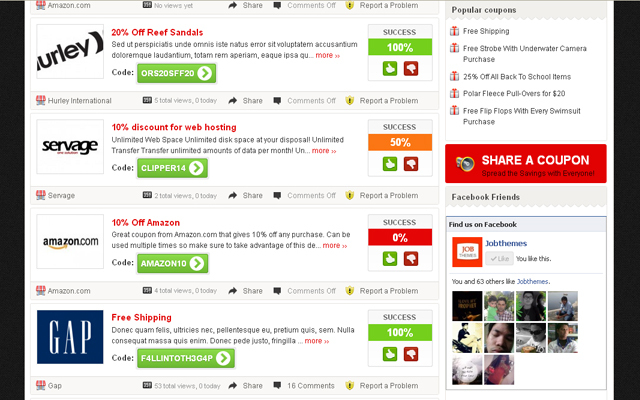 http://directfreedelivery.com/ – check here: İ cant see any coupons or stores under New Coupons & There are 18 active coupons part. How can İ fix this in Discounty Theme. can you please send the admin access to support @ jobthemes .com ? Congratulations, you posted your private password to the public, so everyone could have it. dont panic, I removed it, but please, never do it again, you risk to lose your website. I am going to see your website now. thanks. how can I update it ? 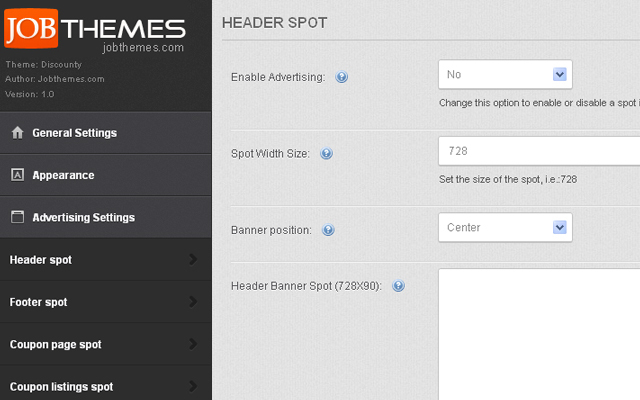 Hi Sir, İ put the Theme Updater plugin but it says all the themes are up to date ? Is there any ther way up update Clipper to 1.6.1 ot 2 ? 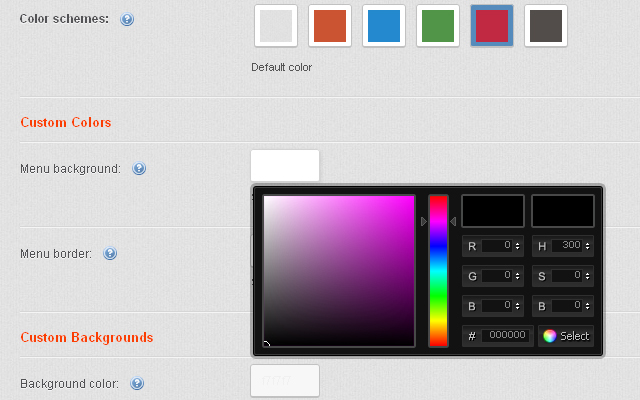 You are using 1.5.1 ( you can find that out on appearance => themes. 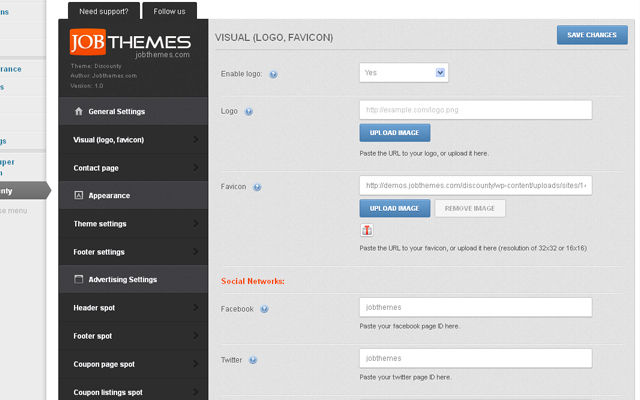 then activate it => then go to appearance => themes => upload the new theme zip you downloaded through appthemes.com/purchases. 1 – First download your latest version of clipper theme 1.6.2 from your App themes account. 3- Search – w-content –>Themes–> and then upload your latest version there! thanks again sir. I dont have clipper in my download section as İ got it from my friend. Can you please send me the latest ugrade documents if possible? Hi dommaden, in this case you have to downgrade your discounty theme. How can İ do this downgrade? İs this possible? it’s not possible but I will try to find that old version of discounty and upload it. Sir, thanks for your hard work on this problem. how did you solve this ? There is still some codes on the footer part of the homepage. Thanks so much. Can you send me the 1.6.1 if possible ? or update files ? Sir, its so complex for me to download it. İ can not do this. İ have never done it. email us your email to support @ jobthemes.com , we will download it from your website and send it to you zipped. There is no plugin to show that , I will login to your website and show them. I want to install this theme on my wordpress should I buy this theme or clipper? what if I only buy clipper and start changing on it? or I must have to buy these two? You can buy only clipper if you want , it works itself but you won’t have the features and options and even the interface of discounty theme. Hi, I have Clipper v1.4 can I purchase and use this theme? When creating a coupon on clipper, how can I put a start date to a coupon? there is only end date on default clipper or flatter themes. Is there any plugins or ways to put a start date ? İ saw some clipper & flatter sites using coupon start date. Hi sam, where have you seen this on flatter? can you post the url ? All these coupons have a start date. Did they customised the theme or put a frame? anything included in clipper is so inside discounty theme. 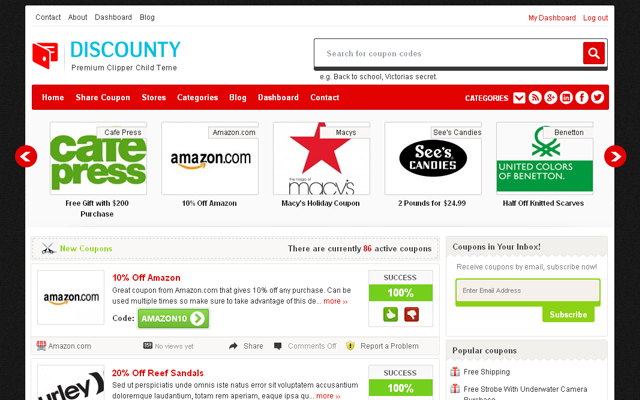 I am looking to buy Discounty child theme for my new coupon website http://www.couponmax.in. But I did not find any money back or any kind of refund policy in case the theme doesn’t meet my expectations. One more thing, I found that the coupon pop up is coming like Clipper default pop up. Can it be changed like KOUPON theme pop up? Thanks for your reply. Just one more query. As soon as the Coupon expired, its faded on home page saying this coupon is expired. Is it possible to remove this option? Keep it like others even of expired. Thanks for the update. I will purchase the theme and up date you. Could you please help me to set up the Expiry settings? Another thing, The expired coupons are auto updated as Unreliable / Draft. Is it impacting site indexing? Can this be fixed? I need to remove the votes part from coupon page on clipper. Or cancel the coupons from going to unreliable after 2- 3 customers vote bad for a coupon. Can anyone help me ? I believe this needs some advanced custom mods. I think one of the guys at the marketplace implemented a plugin for such purpose. Thanks so much sir. I am looking forward to see this solution. I have bought the discounty theme and tried to integrate with clipper 1.6.4 everything is fine, but i observed that comments,share etc. kind of functionalities are not working. later i tried to integrate with clipper 1.5.1 but this time i found that the coupons are not displaying in the home page. Spartac – I have sent two emails to the support email address and have yet to have a reply back, with the first one over two weeks. Is there a more direct email or contact method for support? Second – is this child them being updated or continued to be developed? I see the latest version is back in 2015 for version 1.7.1. Also there have been several version of Clipper released since then. Third – we had an issue with the Couponjoy plugin from the marketplace here and the latest Clipper (Version 1.6.4) , and Moshin believes it is Discounty causing it. 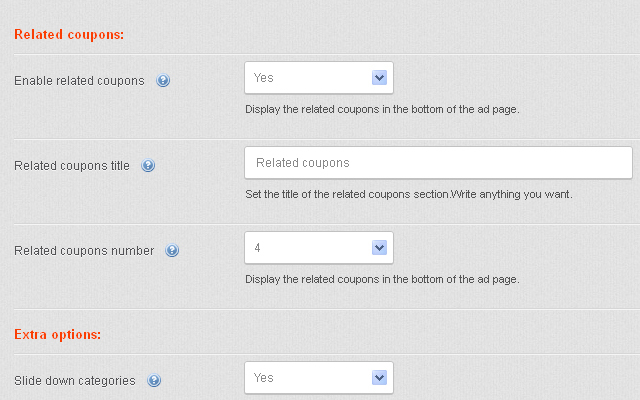 Specifically, when using the latest Couponjoy with 1.6.4 the lightbox no longer works when clicking on a coupon. Please advise on how to get support on this issue and the above questions answered. Thanks! Spartac – still waiting for a reply to my message above on June 30! Please advise, thanks! I found that the version of discounty 1.7.1 has some issue with clipper version 1.6.4, clicking “Show Coupon Code” does not copy the coupon code, can you please fix it ASAP. I am going to open the folder right now and see. The behavior is: it will open up a new window to redirect to the product page(that is OK), but the coupon does not show up. please make its behavior as same as the clipper1.6.4. Second, the GUI of “coupon in your inbox” does not work properly. please see the screen shot https://imgur.com/xPORkyV. Note, if I put “coupon in your inbox” in the store page, if you would let me pass the store name, it would be better. third, please make sure it works under PHP 7.0.